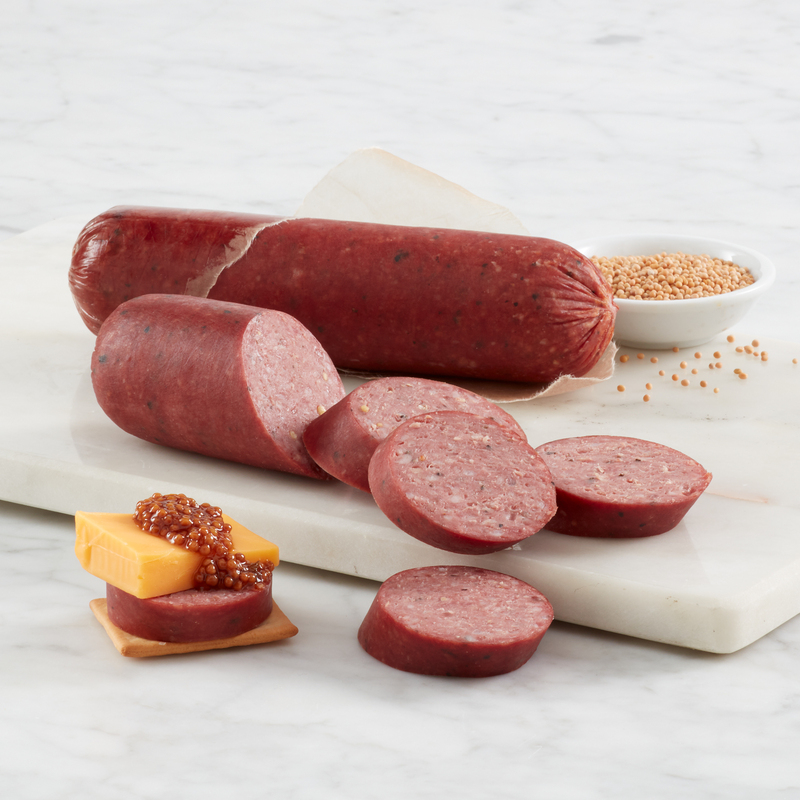 Our All-Natural Beef Summer Sausage is 100% all natural American beef made without any added hormones. It's a delicious snack made with simple ingredients. Perfect by itself or paired on top of your favorite cheeses and crackers.